Moist or upland forests, especially river bottoms, beech-maple stands, and ravines, less common under oaks; also in meadows, thickets, and sometimes swamps. 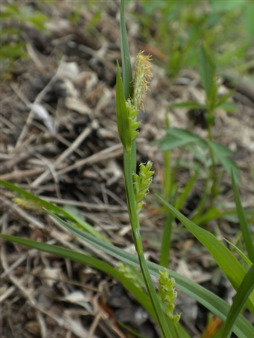 Carex blanda is often weedy in yards and disturbed, shaded habitats in southern Michigan. Occasional sterile hybrids with C. laxiflora occur. MICHIGAN FLORA ONLINE. A. A. Reznicek, E. G. Voss, & B. S. Walters. February 2011. University of Michigan. Web. 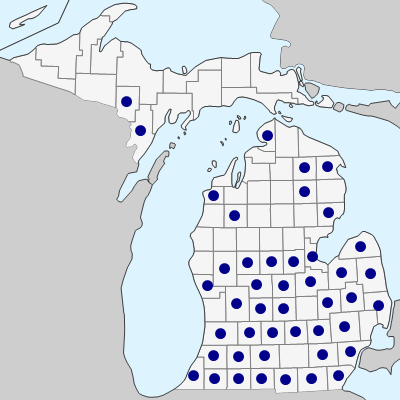 April 19, 2019. https://michiganflora.net/species.aspx?id=919.